There it sits at the end of its stem, matter contained in a small globe as the pressure builds until a rift appears — a small hint of the wonder to come. With each day, subtle change ripple across the surface. 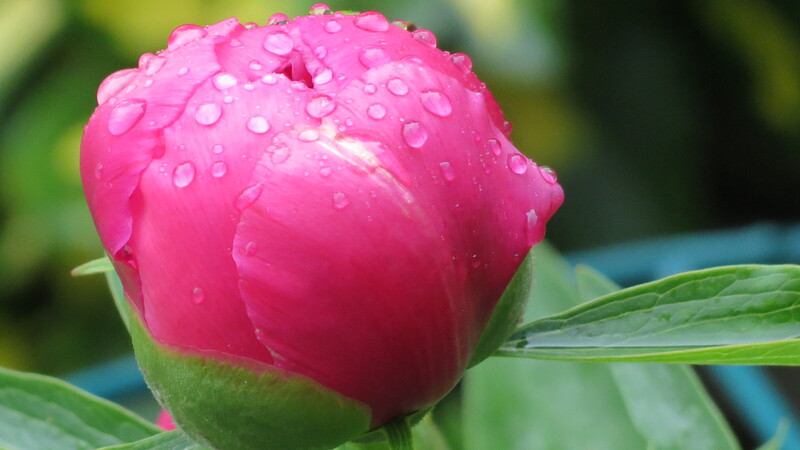 Rain is the peony’s arch enemy, but at this stage of birth, beads of water just add to the awe. When you look closely, you can practically see the flames of its heart. 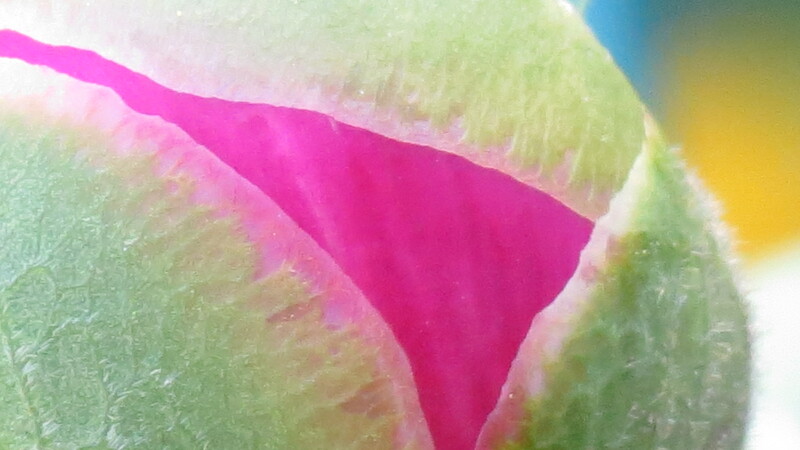 And just when you think it can’t possibly open any more, the peony seems to stretch to fill its whole universe. ← And The Giveaway Winner Is . . .
Dagmar, they are pretty special — lots of color and delicate, yet bold. Thanks for commenting! Great series of shots! Beautiful! Thanks — and coming from a true photographer, your words mean a lot. Be well. my peony before the Big Boom. Thanks! It’s a right cracker…so glad it’s not a bottom! Jane, you are too funny! I’m blushing. Great photos! Peonies are my favorite! They do hold a special place in the garden! Wonderful series of photographs. It’s amazing how something that starts out as a tiny green ball can turn into such a large eye catching bloom. I agree completely. I think that’s another one of the things I like about gardening — the wonder of it all. Big and blowsy just the way they should be – gorgeous. Kevin – as long as there’s a big Bang and then at least a week or 2 of enjoyment, that’s fine. But when it gets hot too quickly and the peonies literally explode and fall apart in days, that’s very sad. I think we should be fine this year. 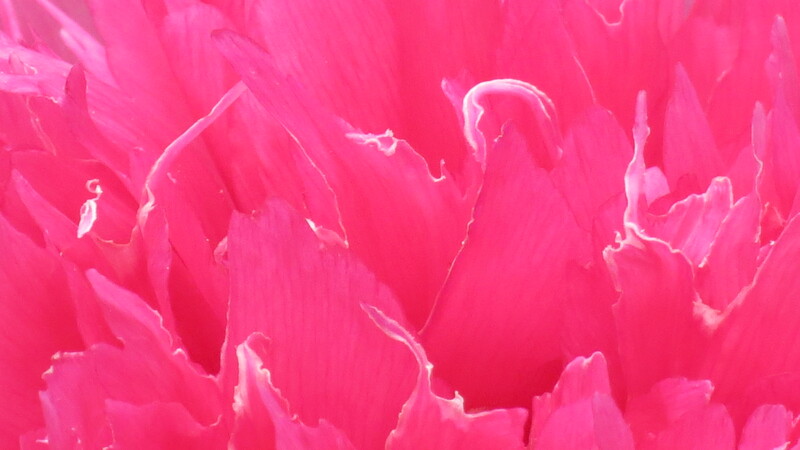 Your pink peony is a stunning colour – beautiful! Go ahead and plant them! You may not get flowers this year, but they will be established by next year. Happy planting. 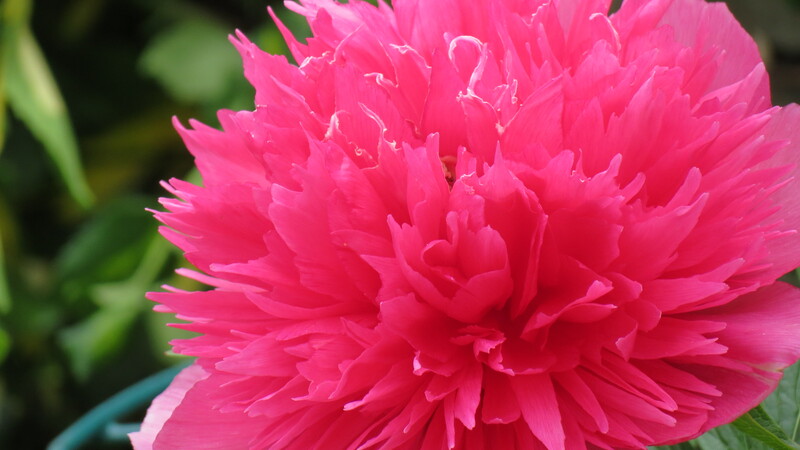 By the way, peonies do not grow from a bulb. You may have bare roots. Good luck! Too bad. They are a definite treat in the last spring garden — brief but beautiful. And thanks for your support and kind words. What wonderful shots Kevin. Your peony is a beauty. I love those big flowers in the spring and wish they would last longer. Lona, many thanks. 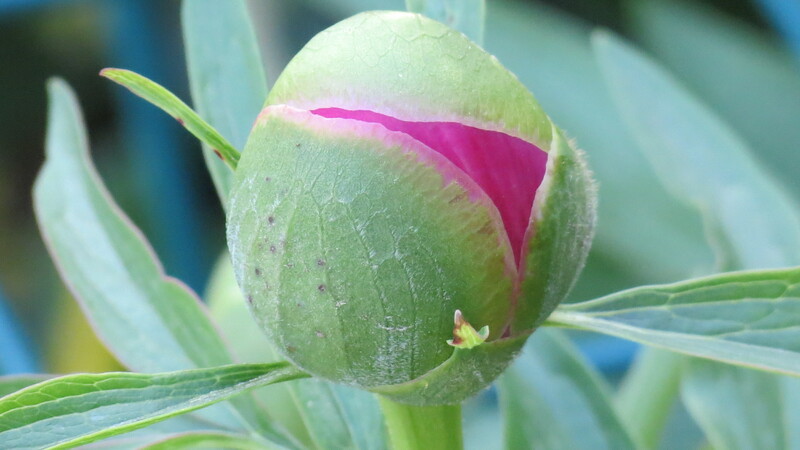 I just took a stroll, and the other peonies have buds that are preparing for their own Big Bang. More photos to come! B.e.a.u.t.i.f.u.l. These are one of my favorite flowers! Hello. Peonies are certainly one of my favorites. I only wish they could last longer. Thanks for stopping by and commenting. “RSVP Peonies! Polinate the breeze! Make the queen of bees hot as brandy!” (From the musical, On a Clear Day You Can See Forever). Can’t stop singing it this time o’ year. Thanks for a lyrical post! I enjoyed the photos and commentary. I love peony flowers but have resisted planting them because they are so delicate and I can’t bear it when they are ruined a day or two after blooming. However, after much nagging by my spouse, two years ago I planted one each of five different varieties. My favorite is ‘America’ from Klehm’s Song Sparro Farm. It is relatively sturdy in flower and stem and has bright red single flowers. 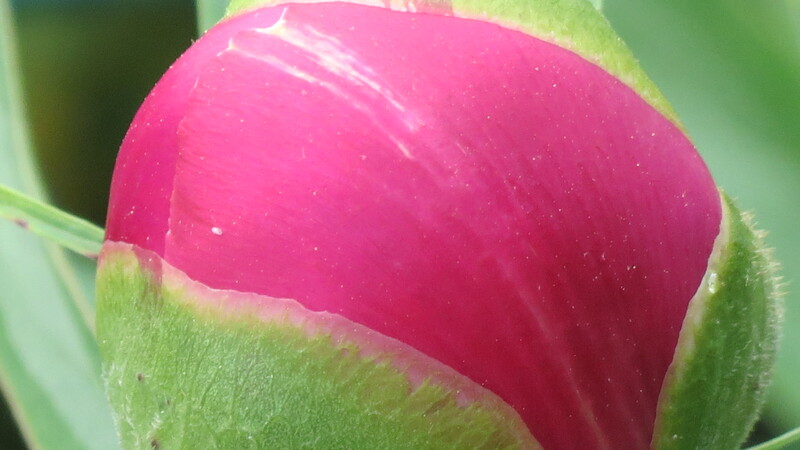 I can certainly feel your pain when it comes to watching a Peony either fade from glory or get pounded by rain. Ouch! But I’m thrilled that you took the plunge. Even though they’re here for only a short time, I love the anticipation of their arrival and the few days they visit. They’re like an old friend. Thanks so much for commenting. 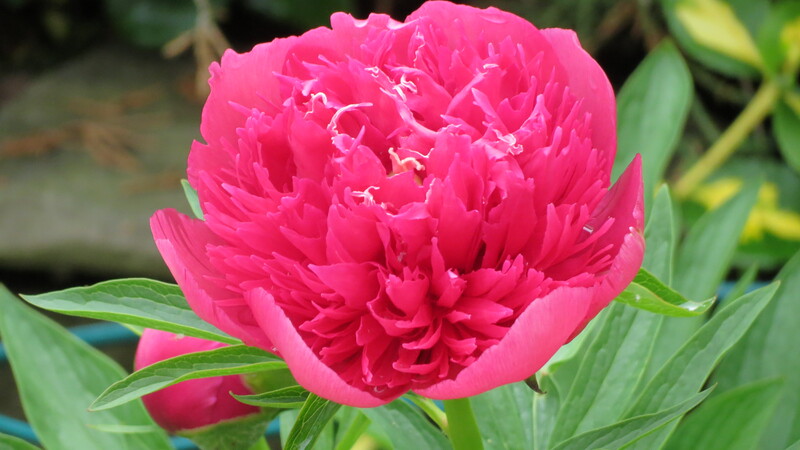 Hi Kevin, What a beautiful peony! It makes me want to go look for a spot for one in the garden. I’ve never had a peony. By the way, I’ve been posting lots of daylily blooms. Hope you have time to stop by. Who knows? You might just start a daylily addiction. 🙂 I enjoyed your post. Love, love, love your posts. My childhood neighbor had peonies and I remember rushing outside to check on them every day, loving the evolution and anxious for the show. And as if the spectacular bloom and color weren’t enough, the smell, oh, the smell! Happy to hear that I triggered a memory. Right now, the other peonies are all budded up. Soon. Very soon. The show will go on. Hi Lisa. Glad you enjoyed the flower power. Thanks for commenting.